Fred Dekker talks The Predator in a new podcast with The Movie Crypt. In the new interview, Fred Dekker briefly discusses his work on The Predator, talking about the characters, keeping the mystery of the Predator, Black and Dekker’s inspiration and the scope of the film. Dekker re-iterates later on that from his perspective as the writer he wants to tell a story where you’re interested in the characters, even if the Predator doesn’t make an appearance. Fred Dekker says he wants to tell a story where you’re interested in the characters, even if the Predator doesn’t make an appearance. When asked about where in the production process The Predator is, Dekker confirms that the script is finalized and that the film is currently being budgeted, that casting has begun and that they’re still aiming for a late September shoot. 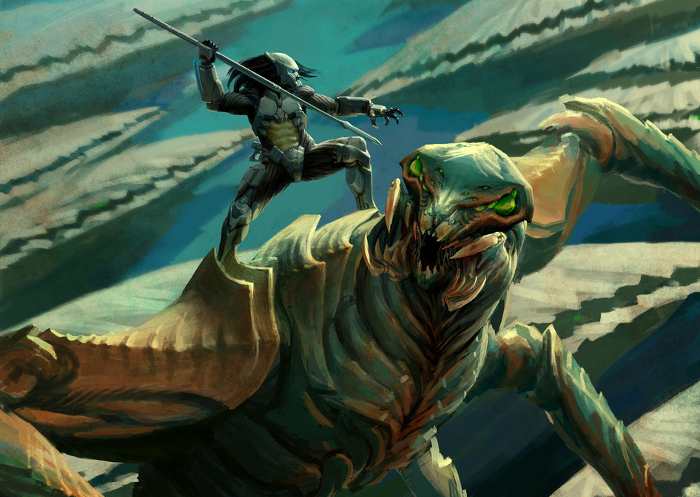 Fred Dekker Talks The Predator: “Who knows if their agenda has changed?” Artwork by icedestroyer. Dekker also mentions his excitement at working on the film though he admits that whilst he enjoyed the first film, he wasn’t as big a fan of Predator as director and writing partner, Shane Black, was. He also goes on to say that Black and Dekker have been inspired by Steven Spielberg, James Cameron, Howard Hawks, that they were aiming for that level of emotion and gravitas. Be sure to head on over to The Movie Crypt and check out the whole podcast! The Predator talks begins at around 1:22:00. Thanks to Johnny Handsome for the news. I don't like to see that he wasn't "as big of a fan" of Predator as Shane. From the rest of it, it sounds like the actual Predator won't be the center of the movie. I'm a bit worried it'll be like Godzilla, where the movie technically is about Godzilla, but the actual creature is on screen for 10 minutes. 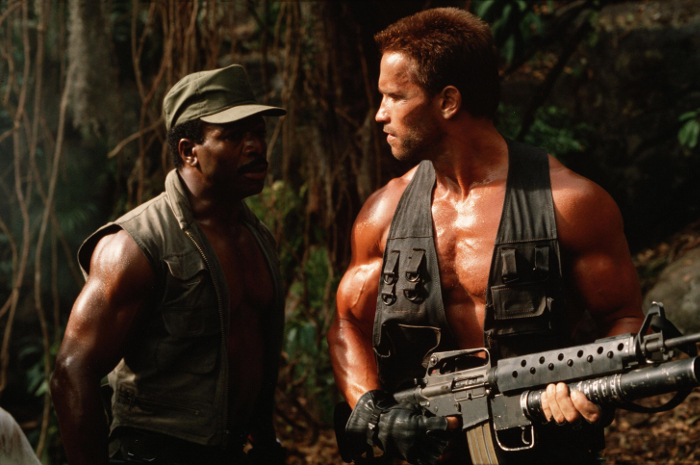 Then again, Predator wasn't on screen much longer in the original, but there was tension of his presence throughout. You know what, I actually like this. We always here people drone on about how they're massive fans of the property - Anderson, Strause, Rodriquez. A slightly more outside perspective is a massively good thing. He didn't say he wasn't a fan, just not as big as Black and working together might mean we get a film that isn't pandering to the fans. That's not quite what he's saying. I think he's saying he wants the characters to be that interesting that they'd hold the film without the Predator. You might be right, a bit of a different approach than "I'm a massive fan of the original let's recreate it" could be good. I'm extremely excited about the movie, and more and more with every new information we get. Dekker later compares Predator and The Predator to Alien and Aliens, saying that The Predator is akin to Aliens. Sounds an awful like what they were saying that Predators would be to Predator what Aliens was to Alien. Much as I hope this film is well received and favoured by the fans its inevitably going be be have fans who like it and those who don't, the original is so highly regarded its a tough act to live up to. Every new piece is filling me with confidence. So stoked for this movie. Love the approach and attitude. Hey, Scott hated SIFI too before ALIEN, maybe still does. Some of the things still has me on the fence. Like with Dekker willing to answer questions like where they came from, why are they here, etc... I don't know, we know where they come from and we know they're here to hunt us. But the idea of it being more than a simple hunt... well, why exactly else would they want to be here? I mean if we are focusing on just.. one Predator.. what else could there be for it being here? Coupled with the idea that we maybe seeing Predator scientist and engineers... I can't imagine what's going on now. The agenda of the hunt has changed? Mmmmm.... Well, I'mma wait and see to hear more. I just... I dunno. Once i've heard "Spielberg" I was disappointed.I'll wait and see but I've lost my former enthusiasm. I guess the good old hunt party with a good old predator stopped when Predator 2 ended, a very long time ago. I love that they want to go with a different approach this time, i don't want to see the same movie with the same formula over and over again. I want to be surprised and i want to find out something we really havent seen yet. That's what was great about Predator 2. Exactly, Johnny. I'm not blind to Predator 2 having flaws but its expansion on and not imitating Predator were some real strengths to the film, I though. I think people are just jumping the gun here with the Chicken Little reaction, expecting the worse. Predator can't continue being a movie about the Predator hunting humans and then getting killed. Something needs to evolve. I like the new agenda thing, like maybe at first they came just for sport, but now they're interested and want to study us more, give us another chance, maybe rule us out of the hunting pool cause we're showing progress. There's a lot of possibilities, and the whole hunting thing does require a bit more explanation. Some of the things still has me on the fence. Like with Dekker willing to answer questions like where they came from, why are they here, etc... I don't know, we know where they come from and we know they're here to hunt us. Where do they come from? A planet in space is not a real answer. Why do they hunt? Just for fun, or the trophies carry some value back home mean a lot more than something you stick on a wall? And can someone please explain to me what's so tongue-in-cheek about "Black and Dekker" ? Black and Decker is the name of a power tools company. The term Black and Dekker is a pun on the name. I think people are just jumping the gun here with the Chicken Little reaction, expecting the worse. Hey, I'm on the fence about this. I haven't said anything bad about it, aside from expressing a few concerns but I'm all wait and see about this. I'd like to know more before I voice an opinion out. Page created in 0.04 seconds with 29 queries.